The sensor data told me something was out there in the sea of noise, something too weak to distill out. I decided to keep my sensor integrating, what you mudballers call a longer exposure. After keeping the visual scope open at the same patch of sky for an entire hour my hunch turned into real, a blip condensed out of the noise. No tracked target yet, but if we saw it more than once we could start guessing its future position and narrow our scans for better signal. Yep, after another hour we had him, tracked hard and no more guesswork as to what he was about to do. How does this integration work you ask, doesn’t the noise rise as fast as the signal, twice the noise and twice the signal is the same, right? No, noise is random, signal is not. Let’s say you have a hundred dice all rolling as they should except one that always roll a six. Roll all dice once and you’d get around 17 dice turning up six. Roll again and about three dice will have a sum of 12, one of them being the crooked die. Very soon you’d end up with just the crooked die, the one always rolling a six, the signal. In Intercept we simulate sensor integration by giving the player a +1 for each previous consecutive identical scan up to a maximum +3. Identical meaning same size, position, sensor type, position and, most importantly, the same ship. This is rarely done with your original scan gave you not even an Indication but it is perfectly legal, just remember that your ship must be stationary. Scan + Signature = Signal which is what determines what you get to learn from the target. All of these rules must be obeyed to get a consecutive bonus of +1 per turn, up to the maximum of +3. The target player tells you nothing, not even whether something was there or not, just silence. Sneaky players take their time answering this, asking again about the Scan strength etc, to make it harder for you to guess whether something with too weak a signal was there or just nothing at all. Target player tells you only that something is there within your Scan, implicitly telling you that the Signal was 0-2. You can either guess at where in the Scan it really was located and start doing smaller Scans to get better Signal, or keep doing the exact same Scan to get that +1 per turn up to +3 for consecutive identical scans. Target tell you its signature and what kind(s) such as Visual(Hull) etc, target will also tell you its position, but not vector. Target my now roll a sensor task to see if he can get a Tracked result or not. Roll 2D6 plus various modifiers (Crew damage, dualrole from previous Pilot task by the same crewmember etc). The task result determines what Signal is required to get a Tracked result. The sensor task result tell you what Signal is required to get a Tracked result. You will always need at least 4 but the worse your task result is the worse the required Signal become. If you miss the task roll you must get a Signal of 12+! Yes, Sensors may get a Tracked result automatically without a Crew doing the task, if the Signal is high enough. VGood Signal 4+ is required to get a Tracked result. Good Signal 5+ is required to get a Tracked result. Fair Signal 6+ is required to get a Tracked result. Miss Signal 12+ is required to get a Tracked result. When a target is Tracked you will learn what kind of target it is, its vector, facing and rolled status, popped in or not, Silent running or not. Until Tracked status is lost he will do his movement on the common map before you make your own, so you can see exactly how he moves and act accordingly. An untracked ship always win Initiative against a Tracked one. For a ship to lose its Tracked target it must; have Crew or Sensors Critical or worse damaged, have a tracked target blocked bu planet LOS, have its target in the aft centerline or having its target beyond the Max tacked range table. Defending against attacks from untracked enemies, ships or missiles, have a penalty of -3 to defense rolls. Beam attacks may learn the position of the attacker under certain circumstances as follows (from page 16 of the rulebook). Target learns attacker position if the target still have a working Meson screen after the attack. That is all folks, next time I’ll talk some more on the new stuff in version 3.4.2. Keep the solar wind to your backside! System Defense Boats. Looked down upon by the Imperial Navy with their huge warsships and noble heritage. Yet the local defense by the SDBs is essential as it locks up forces to guard already taken systems. The SDBs hide on planets with atmospheres, on asteroids in the belts or inside the atmospheres of gasgiants. There they stay, for months, waiting for an opportunity to strike back. Lacking jumpdrives, an SDB always outgun a warship, ton for ton or Megacredit for Megacredit. This lack of jump capaility is also their achilles heel, they rely on fragile Jumpshuttles to ferry them outsystem or to rotate their crews. Well, I have been busy haven’t I. Lots of large and small changes in the rulebook and designs. Aerobraking, landing, crashing, taking off, ramming or docking have been updated and clarified. A ship’s signatures and scan changes when on a planet, asteroid or hovering in gasgiant atmosphere have been added. Lots of little changes here and there, updated designs and design system to make Visual(Hull) and the effects of being in sunshine or darkness are in, all ready ship designs updated. At the sensor phase of each gameturn players take turn calling scans that the opponent then handles. Maximum two scans per side per turn regardless of the number of ships and you cannot use the same sensor twice in a turn. 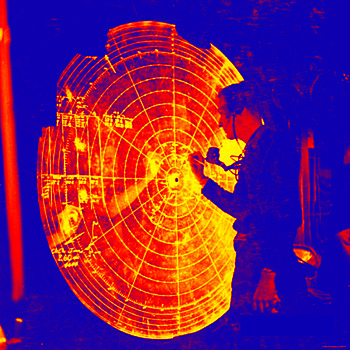 The player with lowest Initiative scan first, describing both scas to the target player before the target responds. This is so you don’t learn something from the first scan when planning the second scan. When both scans have been resolved it is the high Initiative players turn to do two scans and the low Initiative player to respond. A scan consist of a type (Visual, IR, Radar, Neutrino or Mass), strength (sensor strength modified by scan size and ship damage), size (5 x 5 boxes, 3 x 3, boxes, 1 box, 3 x 3 squares or 1 square scans in inceasing strength but smaller area) and the center (box or square depending on). Now it is the target’s turn to ask a number of questions, which questions depends on where the scan was placed. Below I’ll describe three consecutive scans on three turns by one side (player A) and the questions and results from player B. These examples are also available in the rulebook, on page 11. A has his ship located in 1 and decides to do a 1 box Scan in box B4. His Sensor is +2 and the scan modifier for a 1 box scan is -1. There could have been up to three more questions but none of them apply. The scanner grudgingly admits that the Scan does touch his Sunglare column so the target reduce his Scan strength by -6 to an abysmal -5. If the target had ships or missiles inside the entire Scan he would hav added -5 to their Visual(Hull) and Visual(Thrust) signatures and if the sum came up 0+ he would have told the scanner the sum, given the position of the target(s) to him and the scanner would do a Sensor task roll to see if ge got a Tracked result. The target player now also knows that the scanner’s ship is somwhere below the box. I have colored the entire Scan 1 orange because of the Sunglare strength reduction, the Scan is still valid but very weak. Don’t stare into the sun. Player A has moved his ship into position 2 and decide to do a huge 3×3 box scan centered around E1. The scan modifier for a 3×3 scan is -3 so his Scan strength is -1. The northeast near and far sector is colored gray in the pictures. If player B had any ships or missiles inside the parts of the scan inside northeast near and far those targets would have been ignored. The near is simply the gravity sector and far extends from that forever. The Scan touches the Sun column but as player A wasn’t scanning from the Shadow column this had no effect. I have colored the parts of the scan that should be ignored in red. Player A has drifted into position 3 with the help of gravity. He decides to do a 3×3 box Scan in E4. He figures the Shadow column will protects him from Sunglare. The Scan strength is -1. The Sun column as well as the near north sector will be ignored but most of the Scan is still valid as you can see. Had his scanning ship been 3 squares to the right none of the Scan would be blocked but he would suffer Sunglare. I have colored the Sun column and north near sector of the Scan in red. As you can see, the procedure is quite simple: Scanner decides on a scan, tells type, strength, size and center to the target. The target then asks a bunch of questions and depending on the answers certain parts of the scan will be ignored. Don’t stare into the sun you hippy you! 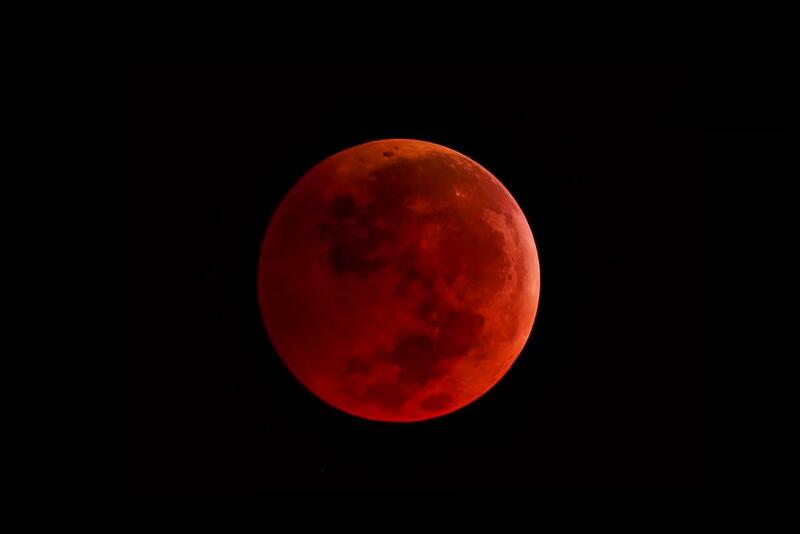 The lunar eclipse which coincided with the moon being closest to earth was a rare thing indeed. It won’t happen again until 2035. Too bad it was overcast as usual here in Uppsala but it got me thinking about a scenario during an eclipse. Download the scenario Data cards and the eclipse map here, and the latest rules etc here. A Mercenary cruiser without its onboard cutters, is tasked with prohibiting drug runners from Luna to land. The lunar cartel launches two ships, one Freetrader and one Fartrader, both unloaded to try to land on earth while the mercs job is making sure they don’t. The Broadsword class is pretty hard to damage by the traders but Surface, Power and Thrust sections can be damaged. If both tráders surviva landings that side wins a major victory, if only one trader lands the traders win a marginal victory. If none of the traders manage to land the mercenaries win. Traders start two squares south in the lunar shadow column, the mercenary cruiser start two squares north in the earth the sun column (which is 3 squares wide), speed is 0 in both cases. Broadsword is side A and the traders side B. If you want you can play this as a three player scenario where Broadsword is A, Fartrader is B and Freetrader is C. Whoever lands first wins, if nobody lands the mercs win. High Gs and very tough to damage but you’ll have to hinder two separate ships from landing. 2.9 Gs. 2G every turn, 3G on turn 1, 2 and 3 of every four turns. -2 on beam firing when thrusting due to underpower. 1.8 Gs, 1G every turn, 2G on turn 1, 2 and 3 of every four turns. 2.5 Gs, 2G every turn, 3G on turn 1, and 3 of every four turns. This scenario will teach you how Sun column and Shadow column works so look that section up and read carefully. Also note that your landing must take aerobrake into account, don’t try to land with too high speed as this may cause your ship to burn and crash.